Iran’s Supreme Leader, Ayatollah Ali Khamenei, is the highest ranking official in the country and serves a lifetime term of office. 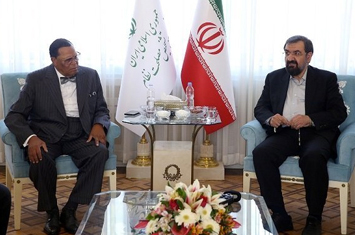 He met with the Honorable Minister Louis Farrakhan and members of a Nation of Islam delegation, which recently visited the Islamic Republic of Iran. 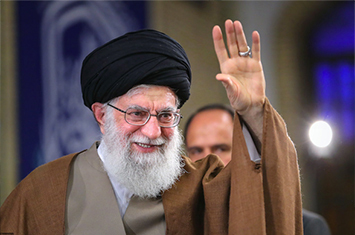 TEHRAN, Iran—Iran’s Supreme Leader, Ayatollah Ali Khamenei, is the highest ranking official in the country and serves a lifetime term of office. Audiences with him are extremely rare but the Honorable Minister Louis Farrakhan met Nov. 5 with the religious head of the Islamic Republic of Iran during a recent trip. The Minister also held important meetings with major political and religious leaders, students and the media. Ayatollah Ali Khamenei, Iran’s Supreme Leader, serves a lifetime term of office in the Islamic republic. A Nation of Islam delegation recently attended a meeting with the Supreme Leader. “Ayatollah Khamenei honored the martyrs who sacrificed their lives to protect the holy shrines and dubbed their efforts as alerting to those who perceive it. 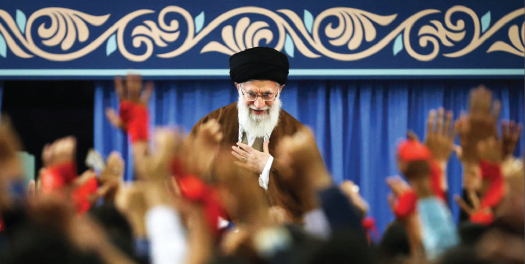 He asserted: The young martyrs who go to defend the holy shrines these days—or those who have gone and have been martyred, including dear martyrs from Qazvin (an Iranian province)—their words, their actions, their moves, their memories and talks about them are all awakening and alerting,” reported the Supreme Leader’s official website, http://english.khamenei.ir. Imam Rahman Muhammad, who was part of the delegation that embraced and greeted the Supreme Leader, explained that the Minister felt the sanctions were an act of war. Min. Farrakhan wanted to warn the Islamic nations to settle their differences without allowing America, a foreign nation, to disturb their process. That was a consistent theme of his messages during the trip, he added. Min. Farrakhan also warned Iranian officials about America’s intent to wage war and America’s failure to abide by agreements, Imam Rahman Muhammad said. The meeting between the Supreme Leader and Min. Farrakhan was highly significant, he continued. It represents the meeting of two theocracies, one founded in Iran, in the East, and connected to belief in the Great Mahdi, the major prophetic figure in Islam—and the other represented by Min. Farrakhan and established by Master Fard Muhammad, who the Nation of Islam believes is the Great Mahdi, in the West. Iran sees itself as an Islamic revolution, not one limited to the country formerly known as Persia, but a revolution for all Muslims against tyranny, under the guidance of its late founder, Imam Ruhollah Khomeini. 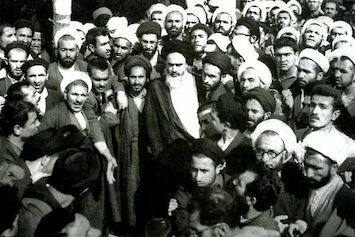 Iranians believe the Mahdi guided Imam Khomeini to found their revolution and their nation, Imam Rahman Muhammad said. During the meeting, Min. Farrakhan declared the Mahdi and the Messiah, which the Nation believes is the Hon. Elijah Muhammad, are on scene, said the Nation of Islam imam. That’s important, he continued. It is like the history of Prophet Muhammad of Arabia, called to his divine messengership, sending a divine word to the rulers of Persia. The meeting called attention to the Iranian leader and others to the presence of the one they have awaited as the seat of Shia scholarship and power in the world, said Imam Rahman Muhammad. Shia adherents belong to one of the major schools of Islam. They dedicate study and devotion to belief in the appearance of the Mahdi. In that meeting the Minister recited the teachings of the Hon. 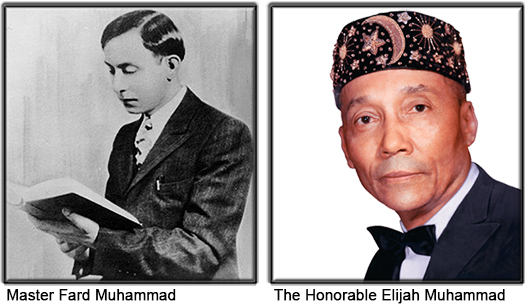 Elijah Muhammad and Master Fard Muhammad and declared their divinity and without opposition to or correction from the Supreme Leader, Imam Rahman Muhammad noted. The Supreme Leader encouraged Min. Farrakhan to keep teaching Islam in the West as he has done, he said. Min. Farrakhan shared the Nation of Islam’s teaching about the Mother Wheel, a huge craft built to destroy America, and the foretold fall of America for her Satanic oppression of Blacks in America, Muslims and the darker people of the world, he added. There is significance to the sacrifice and the Minister’s stewardship and rebuilding of the Nation over the last 40 years while Iran will celebrate the 40-year-old anniversary of its revolution in January 2019, said Imam Rahman Muhammad. “Again in that context, the Minister was blessed by Allah to deliver the message that Al-Mahdi is on the scene and we are truly in need of a warning to avert the war of Armageddon,” said the imam. 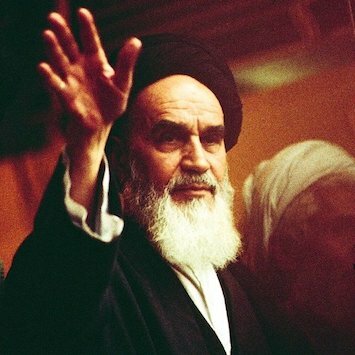 Imam Ayatollah Seyed Ruhollah Musavi Khomeini (May 17, 1900–June 3, 1989) was a Muslim cleric and Marja, and the political leader of the 1979 Islamic Revolution of Iran which overthrew Mohammad Reza Pahlavi, the last Shah of Iran. Following the Revolution, Imam Khomeini became Grand Leader of Iran—the paramount figure in the political system of the new Islamic Republic— until his demise. These audiences are usually reserved for presentations, briefings or debriefings with the Supreme Leader with government officials, high ranking members of Iran’s legislature, municipal police and military officials or heads of state, said Imam Rahman Muhammad. The Supreme Leader greets people after special prayers but no presentations are made, he added. This is the highest level audience one could receive—especially on culmination of the pilgrimage “arbaeen,” in memory of the martyrdom of Imam Hussein, a grandson of the Prophet who was killed in a seventh century dispute over leadership of the Islamic community. The Minister also met with Mohsen Rezaee, the secretary of the Expediency Discernment Council, a legislative branch of the Iranian government in Tehran. Min. Farrakhan added, “My dear brothers and sisters, I am so full because I have been blessed by God to know what they’re planning against Iran. Not that you don’t know it because you do, but I don’t know whether we are taking the proper steps to block their evil plans. … President Trump cannot chastise Muhammad Bin Salman (leader of Saudi Arabia) for the murder of Jamal Khashoggi because they’ve made a tremendous investment in the Saudi government in the friendship of Muhammad Bin Salman with Gerald Kushner, the son-in-law of President Trump. “We cannot allow politicians who are trying to win friendship with Shaitan (Satan) to lead our nations because they can’t speak straight words because they want to compromise,” said the Minister. “You cannot compromise justice. You cannot compromise truth. You cannot compromise righteousness. Minister Louis Farrakhan, of Nation of Islam, meets with Mohsen Rezaee, secretary of Iran's Expediency Discernment Coun- cil in Tehran. The council is part of the legislative branch of Iranian government. “I felt very privileged what you said,” said Secretary Rezaee. “Your words came from your heart and mind, settles on the heart and mind. You speak with truth. We’re gratified and express much gratitude that you came at a sensitive time to our country. Your coming at this point and time shows that there’s no distance between us and you. “Iran cannot survive without Islam. I have extra love for Islam. All Islamic nations say if they don’t think of Islam first nothing would be left for them, and now we’re being oppressed because of Islam. If Iran hadn’t raised the banner of Islam, we would have been oppressed so much, so many times,” he said. Min. Farrakhan also went to the Holy City of Qom, one of the largest cities in Iran. Qom is the capital of Qom Province, about 87 miles south of Tehran. He met with Grand Ayatollah Naser Makarem Shirazi. “I am so honored to be here in Qom again. I was here 22 years ago as a guest of President Rafsanjani; and I spoke here in Qom at the school, and was very well received,” said Min. Farrakhan. 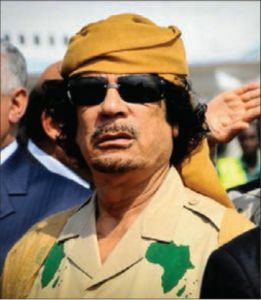 “My dear Excellency: I come from a people numbering now between 40-50 million Black people, descendants of Africa, who were the victims of great deceit, and brought into the Western Hemisphere to be made slaves. The slave masters and the slave makers knew that we were Muslims; and as long as we were Muslims they knew they could not make a permanent slave of us, so they took the children… . “And when our fathers would pray, making supplication to Allah The Most High, they did not want any of the slaves to grow up with the name of Allah on our lips and in our hearts, so they took away our names, stripped us of our language, stripped us of the knowledge of our own history. And as a tree without roots is dead, so a people without the knowledge of their history are also dead. They made us slaves, chattel slaves, for 310 long years; and when we were emancipated, we have lived under 150 more years of the tyranny of White supremacy, second class citizenship, hung up on trees, burned at the stake, deprived of the human right to know. And anyone who taught us how to read, among the White people, was punished. “We did not know, Excellency, that we were fulfilling prophecy. It is written in the Bible that Allah was speaking to Abraham, and He told Abraham that his seed would be a stranger in a land that was not theirs, and they would serve a strange people, and they would be afflicted in that strange land for 400 years. But after that time, Allah said to Abraham: ‘I will come, and I will judge that nation which they shall serve. And afterwards, I will bring them out with great substance,’ and we would go to our fathers in peace. “A man came to us—a man from Arabia, born in Mecca in 1877: His mother was Caucasian from the Caucasus Mountain region … And his [father’s] name. Alphonse, he produced a son very, very light skinned, like some of you here that look White, but He was not a Caucasian. This was done so that He could come into America to retrieve his children without observation. He came in and out of America from 1910 to 1930. He visited every inhabited part of our planet. He spoke 16 different languages, and could write 10 of them. He studied and extracted the language of the people on Mars, and he taught us of life on seven of the inhabited planets in our universe. “Because we all believe oppression will not last. Thus, sooner or later, will be all taken off,” he said.